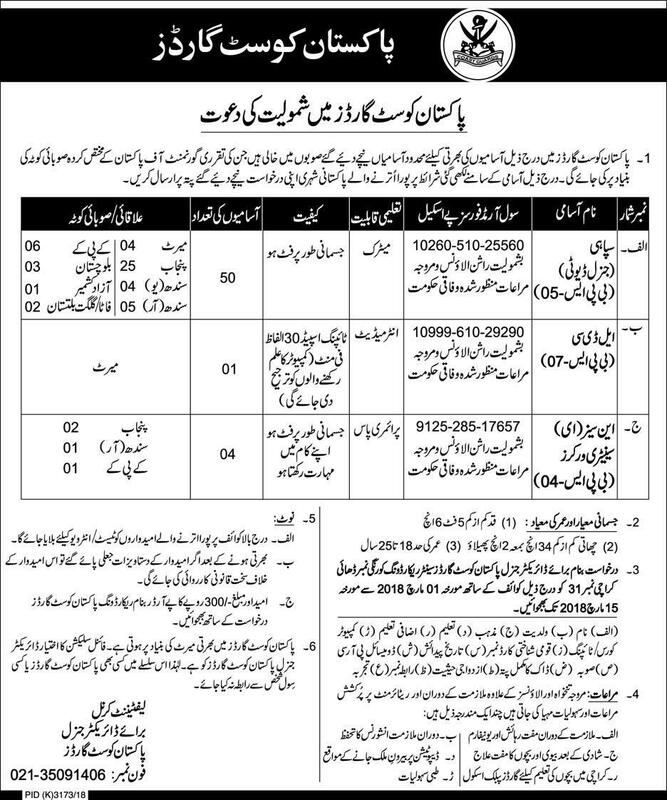 Join Pakistan Coast Guard as General Duty Soldier 50 Posts, Lower Division Clerk 01 Post, and Sanitary workers 04 Posts. Daily Jang Newspaper has announced 19 New Jobs in Pakistan Coast Guard 26 February 2018. Candidates who meet the Criteria may apply for Pakistan Coast Guard Jobs 2018. Interested applicants can send their application form to the office of Director General Pakistan Coast Guard Korangi Number Dhai Karachi Number 31 before Given Date and time.